Throughout her decades-long career, Debbie Allen’s talent has reached into practically every corner of entertainment: dancer, choreographer, actress, director. Most recently, you’ve seen Allen on Grey’s Anatomy, where she not only serves as an executive producer and director, but portrays the character Dr. Catherine Avery. Allen has also brought her directing prowess to beloved television programs like Insecure, Jane the Virgin, Scandal, Empire, and How to Get Away with Murder — and when she isn’t working on the small screen, she runs her Los Angeles dance studio (and non-profit organization), Debbie Allen Dance Academy. 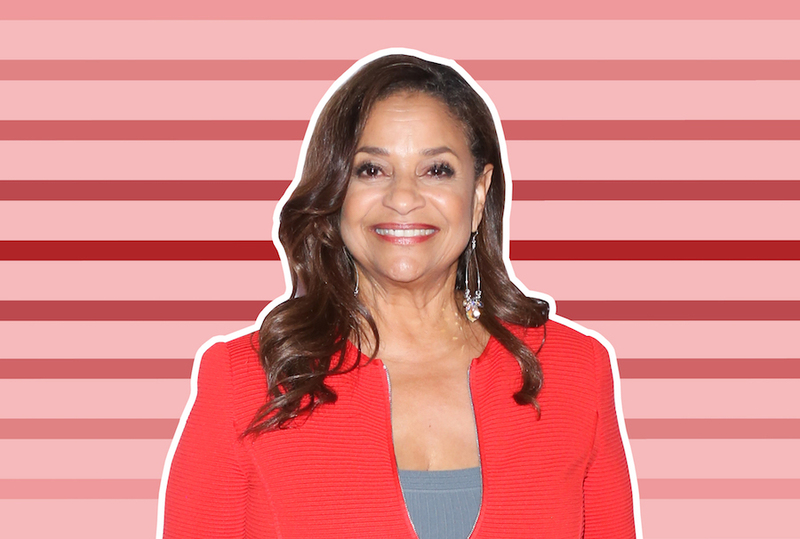 Debbie Allen’s impact on the arts can only be described as legendary. The iconic performer challenges stereotypes and discrimination as often as she influences entertainment (and those ideals actually inform her work). Allen has always been outspoken about the impact of racism on her career, especially as a young dancer, and about her mission to tell diverse stories. In the second season of Dove’s Real Beauty Productions, Dove and Rhimes bring together teenage girls and graduates of the Dove Self-Esteem Project — an education initiative focused on building confidence in young women. When research shows that 8 in 10 girls with low self-esteem around their body image avoid participating in activities like raising their hands to share their thoughts in class, the initiative’s efforts are vital. In a video directed by Debbie Allen and produced by an all-women crew, Dove Self-Esteem Project graduate Chelsea Harris (an actress who has appeared on Grey’s Anatomy and Designated Survivor) speaks with mentee Caralyn Singleterry, a current high school student with acting dreams. Together, Chelsea and Caralyn discuss how cruel comments about their bodies nearly destroyed their performance aspirations. By the end of their conversation, once Chelsea has shared her successes despite society’s narrow beauty standards, Caralyn has a new understanding of confidence. 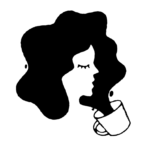 “An Hour With Her” is really a testament to the power of women telling their stories. We spoke with Allen about the importance of diverse images of beauty and the power of mentorship among women. Watch “An Hour With Her” and read our conversation with Debbie Allen below. HelloGiggles (HG): The video with Chelsea and Caralyn is both uplifting and painfully relatable for viewers. What emotions did you and the team experience on set during their conversation? Debbie Allen (DA): Well the conversation actually went on for about an hour and a half, and what you’re seeing is a snippet of what the real long conversation was. And it was just really very touching to hear the story; it was very troubling sometimes, and it was very uplifting to feel that at the end of this conversation — that Chelsea uplifted Caralyn in a way that we knew was going to make her more confident and more resilient in being her own self. [That she’d be] feeling more beautiful. So that was really something to watch. DA: I hope that some of them see a reflection of themselves in these two women and get a sense of what their journey could be. And [they realize] a positive turn that they could make, and get a sense of the variety of the flowers in the garden. They don’t need to all look the same. I also hope that it might sensitize them to maybe not say those mean-spirited things that they might have said [to other girls]. Maybe they will think twice before they tweet something that is ugly. Maybe they’ll think twice before they do something that’s hurtful to another person. HG: For years, you’ve told stories about how not having the “right” body type impacted your dance career as a young woman. Do you have any specific advice for readers who have been told their body type is not the “right” body type for them to be successful? DA: Well this is the thing. One person cannot be the measure of who you are as a person, and where you’re going to go in this world. No one else measures that for you — only you can measure that for yourself. And you must see the beauty in yourself; you must know that God created all of us. Whatever your idea of God is…whatever is your collective understanding of that power beyond yourself that helped create the universe we have come into. You have been born who you are. That is your DNA and you must hold it proudly. If you’re a skinny-boned girl, or a big-boned girl, if you’ve got a curly head, a straight head — it’s all beautiful hair. And this [negative mindset] is something that people are evolving into…You can imagine in the early days, the primitive days — there was no mirror. Nobody was looking at anything other than what they were trying to eat. They were trying to find water. They were trying to bear their children. So this idea of what beauty is has to come, really, from inside. Because it doesn’t matter how how long your hair is. If you’re a mean person, you’re not beautiful. You are not. Sorry. HG: You and Shonda Rhimes are a dream team — we’ve already seen that on Grey’s Anatomy, and now we’re seeing it in this Dove project. What do you consider to be the most special part of your creative partnership with Shonda Rhimes? DA: Well with Shonda, I’m loving that I’m with someone that is a genius storyteller. And learning from her all the time as we’ve worked together for years. And from the other writers she’s brought in. She always refers to herself as a storyteller, and that’s what I think is one of most dynamic parts of our work. Other than the fact that I love her personally, and I love how she lives her life with her family. She’s very close-knit with her children, her parents, her sisters, her siblings. It’s a beautiful thing to see a family that is close-knit like that. I had that in my family and I wished I had it more. It’s just something to see. I feel delighted to be able lend authenticity as a director to the wonderful promise of stories week to week to week, on Grey’s Anatomy or Scandal or whatever wonderful new show she’s going to have. See more of Chelsea and Caralyn’s conversation in “An Hour With Her” here.